The Child Leader Inside Us. As Jim Henson once said, “the most sophisticated people I know — inside they are all children” How can we tap back into those childlike lessons of leadership? The ones that come so intuitively to us as kids, but that we lose sight of as we enter adulthood? 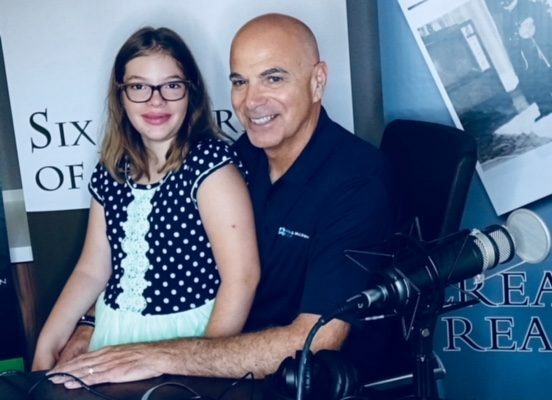 On today’s podcast, we look back and explore those facets of leadership with our co-host and guest Ainsley, granddaughter of Anthony C. Gruppo. Ainsley Jane is a kind, curious, and comical 10-year old. Through her love of Frozen and memories of building sandcastles with “Wolvie”, Ainsley’s perspective is vital to understanding not only the key leadership points that childlike wonder has to teach us, but also the universality across age and experience of the Roots of Leadership.